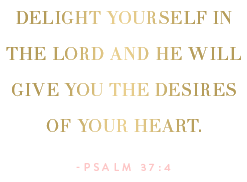 Something Delightful : Smathers and Branson Giveaway! It is time for a fabulously preppy giveaway to kick off the fabulous month of April! 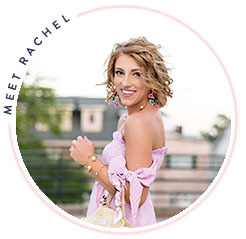 A Preppy State of Mind is teaming up with Smathers and Branson (If you're thinking I'm going to say "April Fools" because this is just too exciting, I promise I'm not). If you are not familiar with Smathers and Branson, it is now time to familiarize you with this wonderful company. Smathers and Branson specializes in Needlepoint collections of the finest quality. 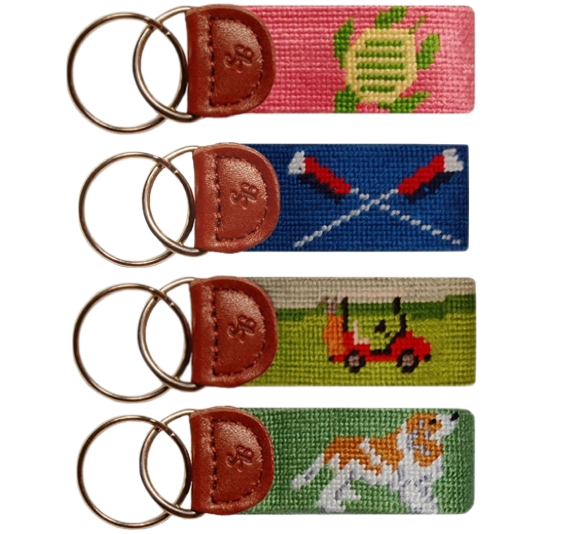 Offering belts, wallets, key fobs, hats, visors, collegiate collections, and more, S&B will be sure to add the preppy touch to your outfit with needlepoint. 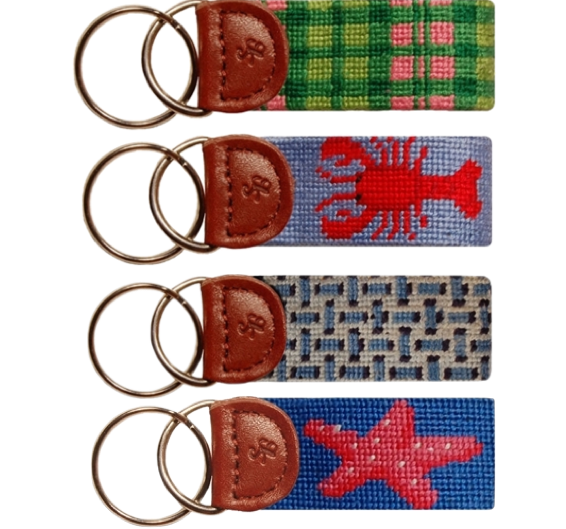 Smathers and Branson has generously offered to giveaway one Needlepoint Key Fob to the lucky giveaway winner! 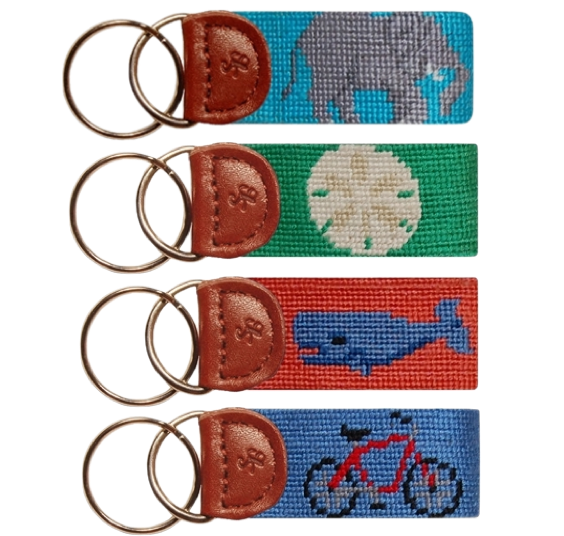 There are so many gorgeous fobs to choose from. 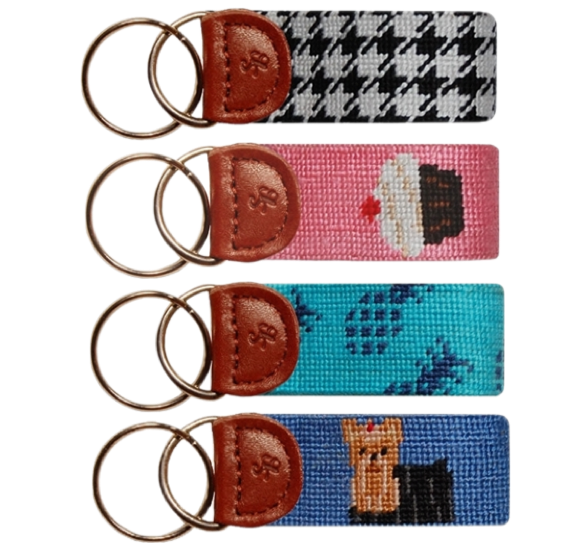 Remember, this giveaway is for both ladies and gents with the many needlepoint styles to choose from! Enter by using the Rafflecopter widget below! The giveaway ends on Thursday, April 4th. Good luck and Stay Tuned! I love these! I have one from my golf club and we just gave my brother the lobster one for Easter!